One of the most rewarding activities that your child can be involved in is the MARTIAL ARTS! The classes will greatly enhance your child's self-confidence and concentration whilst improving their basic motor skills and physical fitness through Martial Arts training. 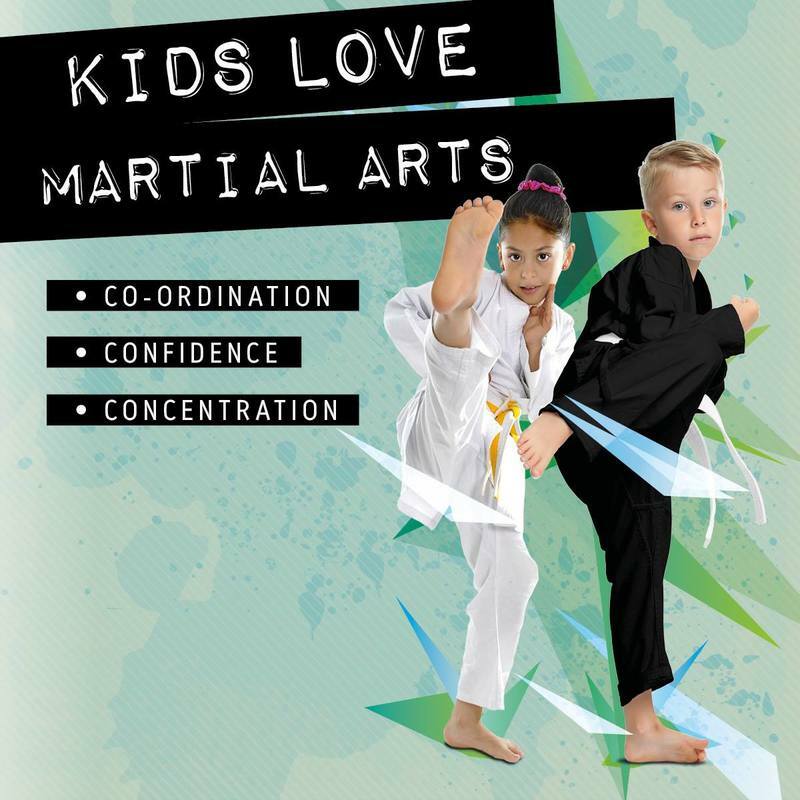 The classes help them to see the value of team work, good behaviour and trying their best outside of the classroom. they have great FUN doing it! 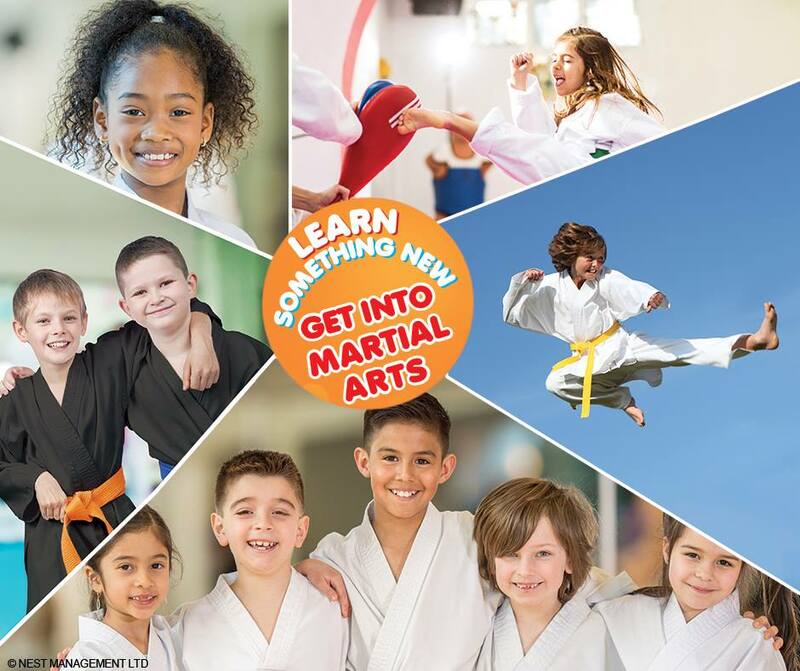 FREE LESSON + FREE SUIT + FREE TRAINING PACK! Our instructors use the Little Ninja drills to help create the vision that discipline is fun and rewarding. Your child will take pride in doing the right thing. Your child will also be able to follow directions better. This skill is crucial to develop at an early age. 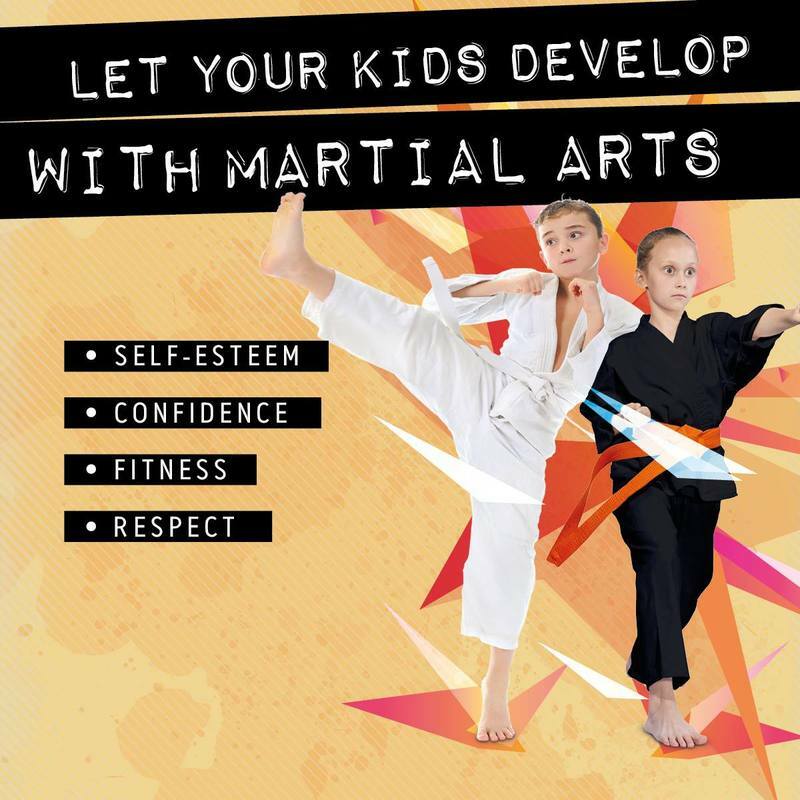 Your child will develop good balance and posture, and learn to understand how ‘balance’ is essential in all tasks of daily life. This skill will help your child's listening and concentration ability. They will excel faster in any physical activity; become a better listener and a more focused student in school. 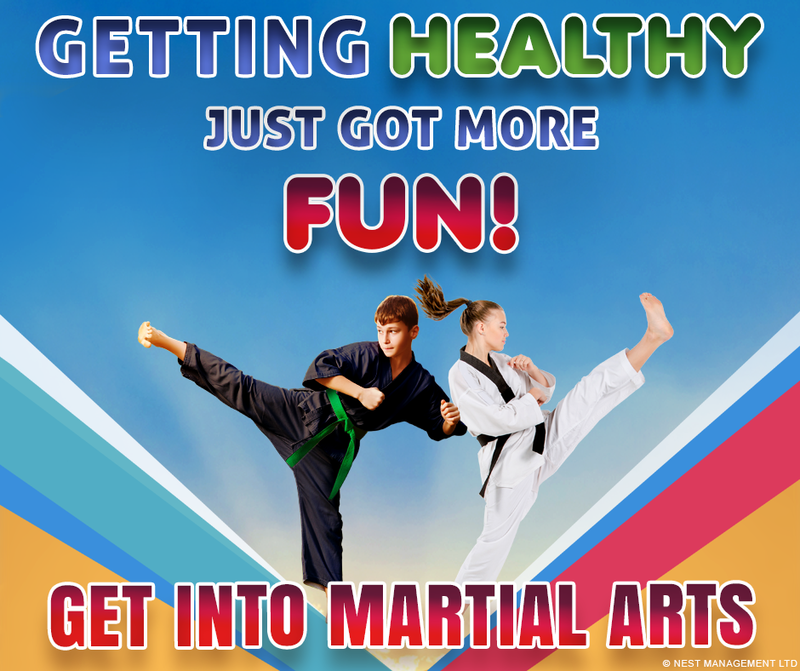 They will become better physical participants in sports and activities. 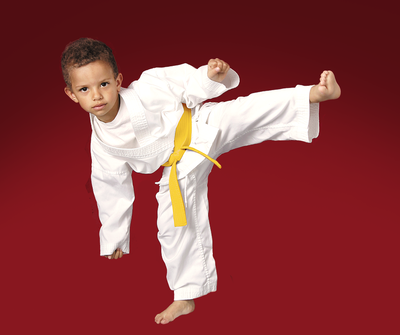 The better co-ordination your child has, the fewer injuries your child will sustain. Your child will learn left from right and how to co-ordinate different parts of their bodies simultaneously. Developing a good memory is exercise for your child's brain. Our drills are constantly helping your child to think and develop their ability to remember. Teamwork is necessary for any young child to develop. Your childs confidence will grow the more they are encouraged to work with others. Your child will develop character, which will help him or her make new friends and become a better leader in later life. 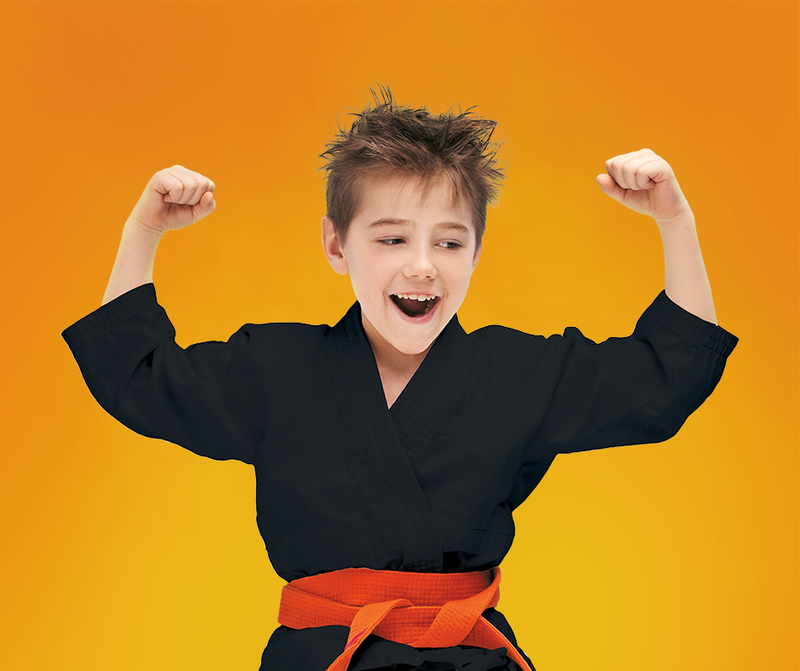 A Little Ninja knows that to succeed you have to persevere and not give up when things get difficult. All classes start and finish with courtesy and respect. Before we begin, every student must show that they are focused and ready to start, standing to attention. 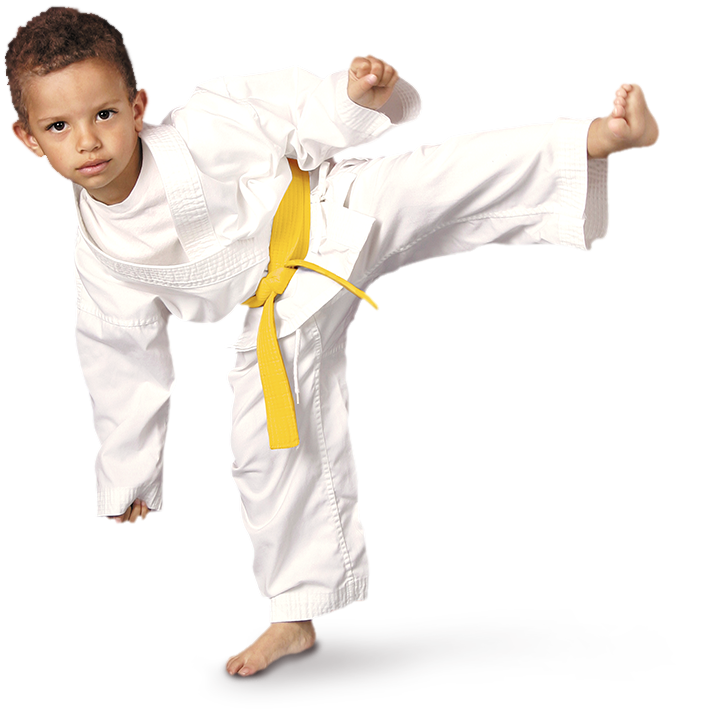 During the class the students will learn basic kicking, punching and blocking. 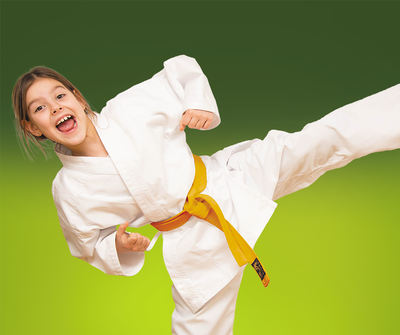 They will learn how to use their voices, how to fall safely and to protect themselves. They will work with each other on techniques but this is always NON-CONTACT for safety. 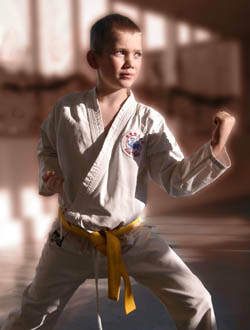 There is an element of fitness training and hitting soft pads, but all done at a level suitable for the age group. 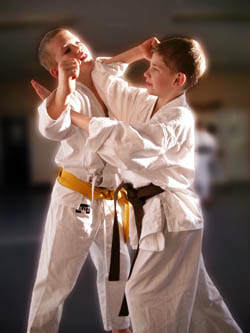 Most importantly, it is impressed upon them that what they learn is not to be used on others outside of the classes, unless it is in self defence. Good behaviour is developed with all students, both in and outside of the classes. 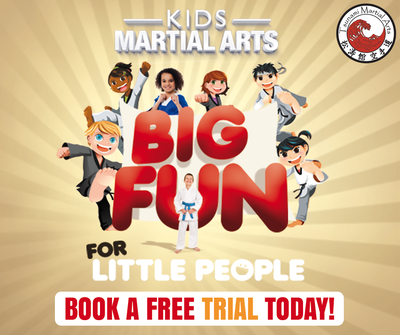 ... and great for any parent who wants their child to listen better, learn to focus, improve fitness and motor skills and understand self-defence.